On viewing, you will be forgiven for thinking you are in paradise as this is a really beautiful home surrounded by an acre of tranquil gardens and shady trees - all reticulated from a bore. 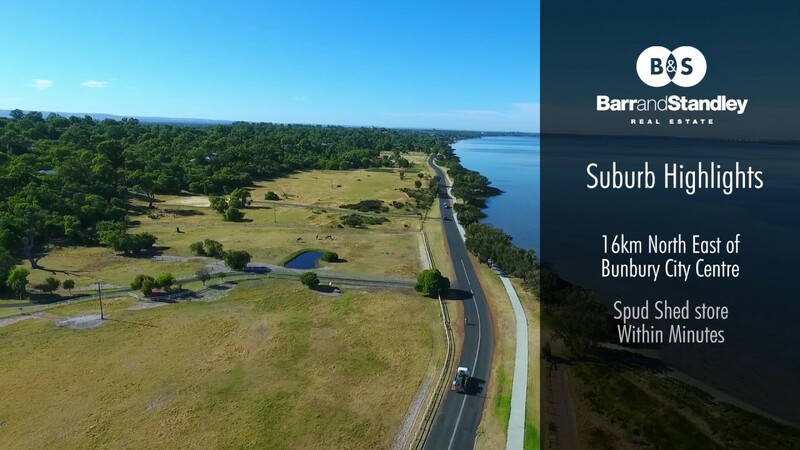 Only a short distance from Australind Shopping Centre, this stunning property offers the best of both worlds with close proximity to all facilities and the estuary offering a tree-change lifestyle with everything already done. Prepared for sale by fastidious owners, the home has been fully repainted and has new carpets in the bedrooms, as well as the study and an elegant lounge room. Ceilings are high throughout and literally soar in the lounge room - this zone has large floor to ceiling windows to enjoy the view. A step up leads to the dining room with polished timber floors. A second meals area is off the big family-size kitchen. Easily catering for the largest families with four bedrooms, two bathrooms, a study plus multiple living areas, this is a gem that won't stay on the market for long. Bullnose verandahs add to the charm and an enormous patio provides the perfect spot for entertaining or simple relaxation. All bedrooms have robes, there is a spa in the ensuite, ducted air conditioning throughout, a wood heater in the family room with bonus heat spreaders to the bedrooms and a large games room with a built-in bar and glass sliders to the garden. The man of the house will be impressed by the big powered workshop which is fitted with a shower and WC. The features are too numerous to detail and only viewing will do it justice.